Welcome to the largest beach on the Costa Brava! Stretching for almost 2.5km, enjoy the wide spaces offered by the S’Abanell Beach in Blanes, perfect for water sports like kite surfing! Blue Flag certified, this beautiful beach in Blanes has a number of services for tourists. S’Abanell Beach is separated from the main beach in Blanes by a large rock called Sa Palomera. It stretches from the centre of the seaside resort over 2 kilometres towards the south as far as the Tordera river. What are its main highlight? Even though it is very popular with tourists in high season, you will always find a little spot to put down your beach towel. 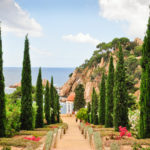 It is also easily accessible from the town centre in Blanes on foot or by car. It’s perfect if you want to avoid driving or if you are planning a day at the beach with children in Blanes. 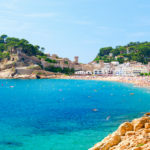 Make the most of the beach during your holidays on the Costa Brava! 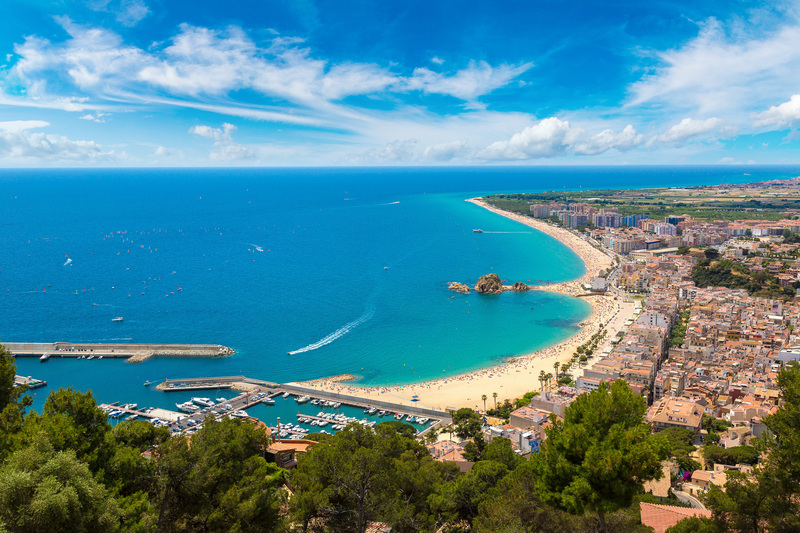 Opt for a holiday in the family seaside resort of Blanes. S’Abanell Beach in Blanes has been the recipient of the Blue Flag for more than 20 years. This is a sign of the quality of the water as well as the services and facilities that are available to tourists. 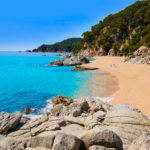 You will find everything you need to spend a great day at the beach on the Costa Brava: public showers and toilets, monitored bathing areas, disabled access, deck chair, parasol and hammock rental, etc. 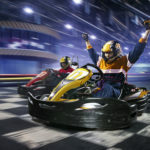 If you are the sporty type, no problem! The beach offers fun and educational activities, suitable for all ages. In the company of trained monitors, children will have a fabulous time at the Club Infantil! Water sports enthusiasts can opt for stand-up paddle, kite surfing and much more! For a snack or a drink facing the sea, there are a number of bars and restaurants close to S’Abanell Beach. Finally, at the end of the beach, there is a little space that is reserved for naturists.